I grew up in the church, went through the AWANA program, gradated college with a minor in Religion, and am pretty decent at memorizing Scripture. But meditating on the Word of God? Well. There are seasons, of course, when I’m much better about this than other times. But most of the time, if we’re being honest, I just don’t think about a particular verse throughout the day. I can memorize a few sentences and spit them back out when needed, but I don’t dwell. Before I get to the story behind these free iPhone lockscreens, here they are if you’d like to download them for yourself! If you’re on your phone, you should be able to save the lockscreens to your camera roll by clicking on the links below (that go to the lockscreens above) or hold down on the other images below. Then go to Settings > Wallpaper to save it as your lockscreen! 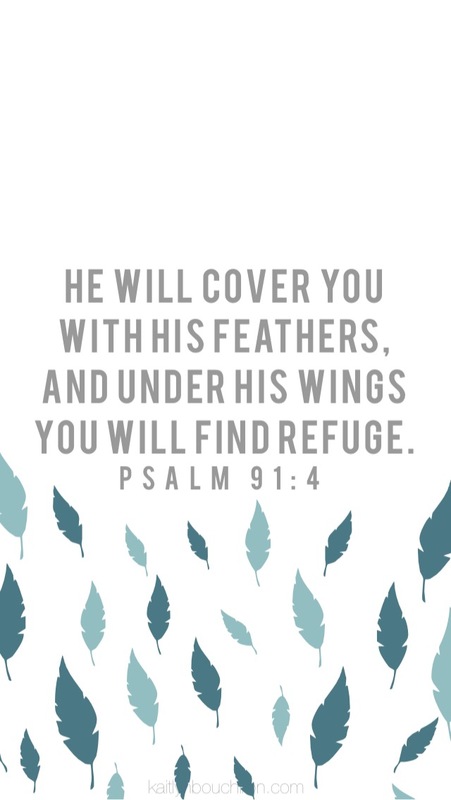 Psalm 91:1 (far left) :: CLICK HERE to open and save. 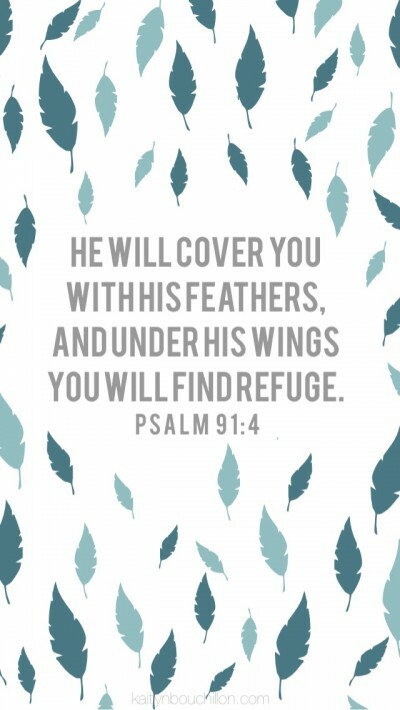 Psalm 91:2 (middle) :: CLICK HERE to open and save. 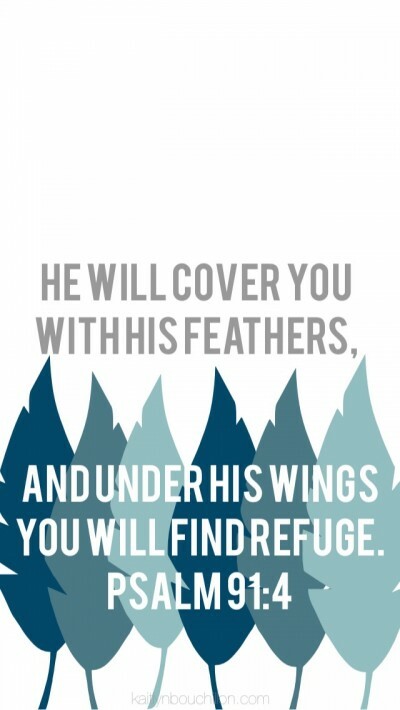 Psalm 91:4 (far right) :: CLICK HERE to open and save. In January I listened to a podcast from Passion City Church. As Louie Giglio spoke about the difference between memorizing and meditating on Scripture, I felt the Holy Spirit convicting me. And in the very same breath, I felt encouraged and strengthened to begin. To try. To open the Word and let it soak in so deep that if life squeezes me like a sponge, His truth will be my response. I had to start somewhere and it felt daunting, to be honest. When I asked God a simple question (“Hey… I want to work on this. Where do I begin?”), one memory almost immediately came to mind: a particular morning in Haiti last March. I haven’t written about that morning, but let me sum it up here: spiritual warfare is real. I have seen it firsthand, I have lived it, and you can not convince me that it was merely a coincidence when I experienced the worst night terror of my life while serving in Haiti. But the following morning as I sat there clutching my water bottle, breathing deeply and desperately trying to blink the fog away, a friend opened her Bible and said, “Hey, we have a few extra minutes. 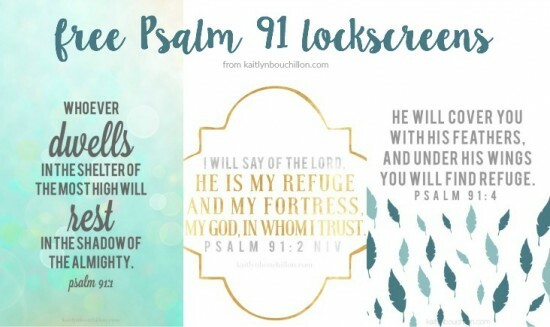 Anybody want me to read anything out loud this morning?” Someone suggested Psalm 91 and I worked real hard to keep my jaw from dropping as she read a passage of Scripture about God being our refuge in the night when terror comes. So. Yes. Psalm 91 it was. If you’re subscribed to The Table, you know that I memorized four verses in two weeks. But the number didn’t really matter because after two weeks, I realized that I had been meditating on the truth of the words every day. I started to say the words out loud while making dinner, driving around town running errands, brushing my teeth, etc. There wasn’t a “right” or “wrong” time because any time of day would work. As a visual learner, I knew I needed to see the verses often. Enter: iPhone lockscreens. 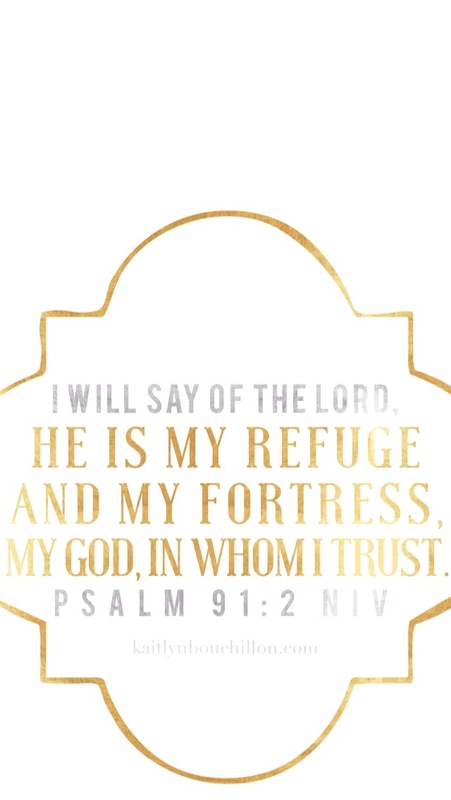 These have been my background for weeks now and every time I pick up my phone (which is, umm, a lot) I can’t help but see the verse I’m currently spending time with. Listen, I sure don’t have this figured out. But I do know that it’s working for me and it’s changing my daily life. It’s ordinary and honestly not very special… certainly not impressive… but I hope it encourages you to figure out what works for you. Copy me, do your own thing, whatever. At least try. One verse is better than nothing. As of today, I have almost the entire Psalm memorized but honestly, I don’t really care. What matters is that my heart has been soaking in truth and when the darkness comes, as it most certainly will, I can hold out and hold onto the Light. In fact, as you read these words I am somewhere in the air on my way to Haiti. And most likely? 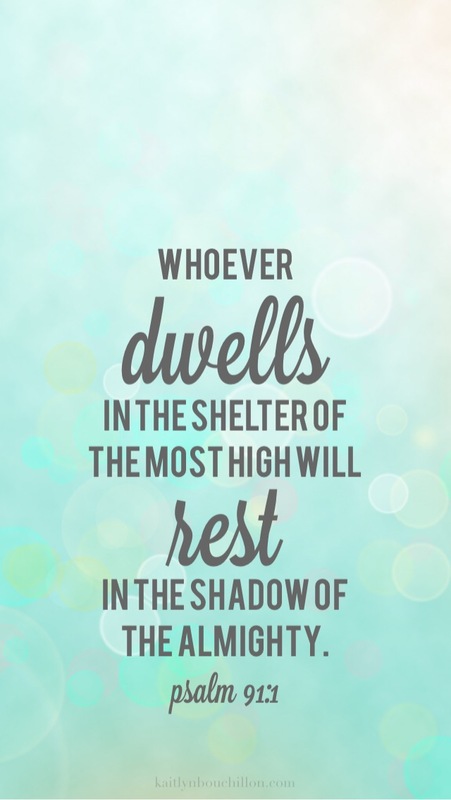 I’m repeating Psalm 91 under my breath.